We head back to Guatemala City tomorrow morning. In addition to birthing a new child, it seems we have birthed several more pieces of luggage as well. 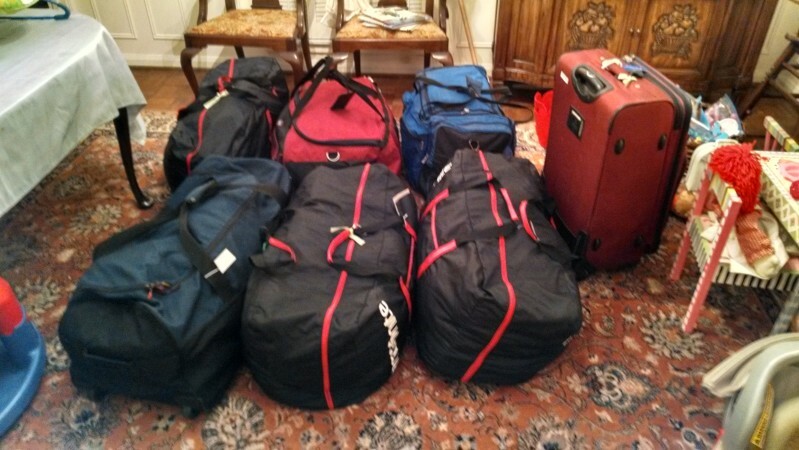 We’ll be checking in 8 bags (one is missing from the photo) and carrying on multiple backpacks and a car seat. It is a bit crazy. We’ll be heading out early in two fully loaded Acadia’s and looking forward to getting settled back in the house, which is going to be quite dirty after being closed up for the past two months. We’ll pick DiploDog up on Sunday and then the family will be fully reunited. 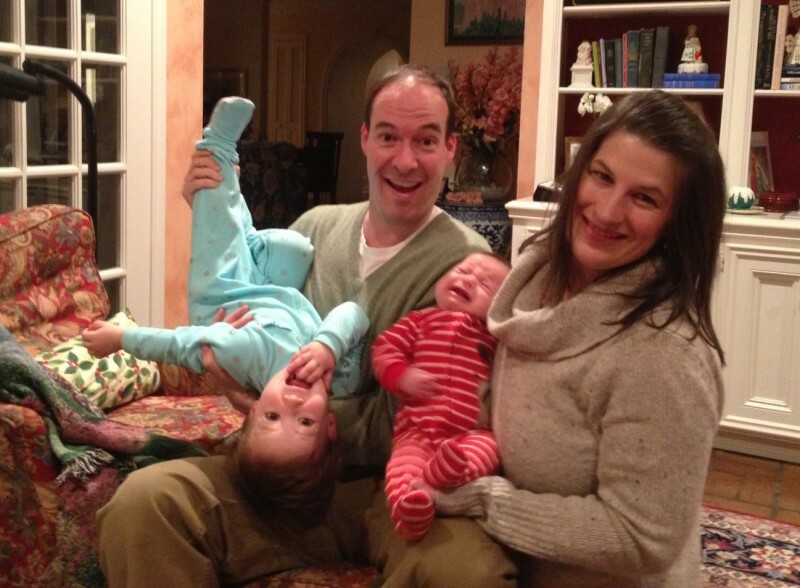 We tried to snap a nice little family photo on Christmas Eve, but this was all we got. It pretty much sums things up right about now. The packing always ends up taking longer than expected. We know this, but always think this time will be different. Happy New Year! I love the pic. You all look so happy and what beautiful babies!